I live by one motto… “if you need me I’m there”. Something needs fixing around the house, under the hood or behind the bar I’m all in. 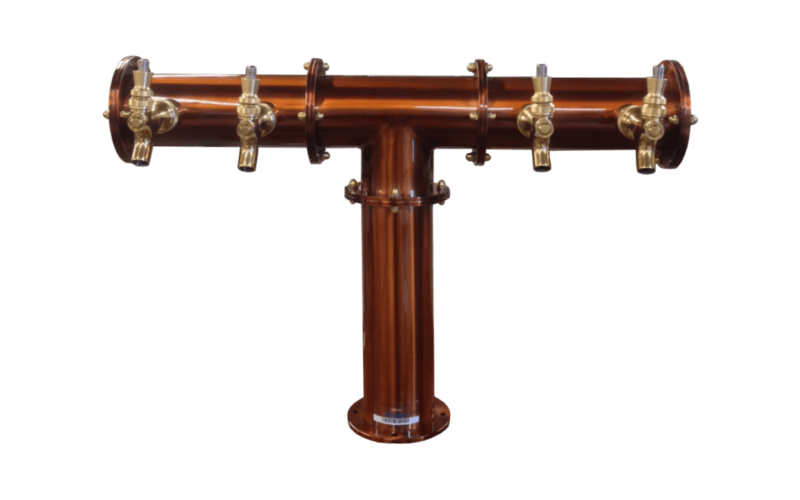 What makes me a Draught Pro fanatic is the satisfaction and pride everyone feels when we finish an install or keep the taps flowing like they should. It’s what makes going to work every day totally worth it. I don’t like to mince words. In my world success is measured by two things – KPIs and bottom line growth. The fact I hold a Bachelor of Business Administration in Finance, that I’m a CPA, CGA – or have worked years in the private sector, and as a senior accountant with BDO is only half of the equation in my opinion. The other half is pretty simple, I’m only fueled by growth that’s built on world-class strategy and best practices. Doesn’t matter if you work on the front line, or behind a desk at head office – we’re all committed to finding a better way to create a ‘wow’ experience people want to share with others. What makes my day? It might involve creating a more efficient file recovery system, overcoming a new challenge thrown my way, or simply lending a hand. Whatever it takes to help a teammate, I’m there. Beer was everywhere. I was drenched. Even when something goes wrong the most important thing for me is doing what it takes to put a smile on people’s faces. When I got to the campus bar to respond to the call it was absolute chaos – so I did what I always do stay calm, get in there, figure it out, and handle the problem. If there’s one thing I’ve learned at Draught Pro it’s that there’s nothing that can’t be fixed. The key is jumping in and getting to work. Draught Pro is the first place I’ve worked, where there’s a real family vibe. One of my first installs took place in one of Halifax’s Historic Properties. Running a new trunk bundle required a lot of problem solving and drilling through 4 inches of old flooring and different types of wood. It was a great experience getting creative with an install when there aren’t many ideal options. How everyone pulls together, shares ideas and goes the extra – that’s what makes this more than a job. Head down. Work your tail off. I started with Draught Pro as a part-time driver, and I quickly realized three things about our Company’s culture that I still consider amazing. Job titles mean very little here. Proving your worth gets rewarded. You got talent, use it. Those Team Non-negotiables have inspired me to the point that I now serve as Draught Pro’s beer gas manager, sales analyst and media specialist. Rewarding work? You bet. My earliest memories involve taking things apart and putting them back together. I think that’s where I learned that paying attention to the little things is the difference between success and failure. That’s what I love about my work at Draught Pro, they believe what I believe. There’s only one way to do a job – right the first time. There are no words to describe the feeling. The new found pride an owner experiences after a Draught Pro Certified install never gets old. We push each other as teammates, and we are always looking for ways to raise the bar in our industry when it comes to customer service. We think proactively to anticipate problems before they happen, and clients appreciate us for it. We don’t punch a clock at Draught Pro – we do whatever it takes. Those words are anchored in my DNA, especially when it comes to making something work like it should. It’s an obsession that serves me well when it comes to troubleshooting and maintaining draught systems. If you’ve got a problem we’ll figure it out, even if it means redefining the status quo. Forget satisfied or average, that kind of thinking won’t cut it here. I get a little pumped when things aren’t working perfectly. I don’t just want to fix stuff – I also need to help people. That’s why working at Draught Pro is the perfect fit. I get to apply my electrical, plumbing and construction skills on projects – and then witness the smiles as the first tap starts to flow. That feeling is hard to put into words, but it leaves a smile on my face every time. I take care of our front line, by eliminating back-end frustration. 30 years ago I learned an important lesson about customer service working as a car detailer at my uncle’s dealership. The work you do behind the scenes needs to focus on one thing – doing the unexpected to ‘wow’ a teammate or customer. Since then I’ve gone from a wash bay, to working behind a desk – but the attention to detail that’s required – is as important as ever. The work we do here never gets old. Over the years I’ve done my share of installs and I can honestly say I’ve loved almost all of them equally. Some systems were trickier than others, more than a few blew me away with their scope and vision, while many were just plain challenging. It’s been almost ten years working at Draught Pro, and I’m still learning. I took apart almost every appliance my mom ever owned, and in a unique way it helped me appreciate how business engines need to work. Sure we design and install custom draught beer systems, and work with pit-crew precision to keep them flowing – but that’s not why we exist as a business. Under the hood we exist as a service company for one reason, “to accelerate bottom line growth” for customers. For me, it’s the one outcome that truly defines ‘remarkable service’. For me, everything starts with making connections and developing relationships. Whether it involves existing or potential customers, Draught Pro Service Techs or our Admin Team, I’m always working to fine tune our abilities and accelerate success. After more than a decade working at Draught-Pro, I take pride in wearing different hats and finding new ways to help. I get deep satisfaction knowing that whatever the challenge or task, that I’ve evaluated every credible option – and left nothing to chance. If you’ve got trouble, call me. Most people get a headache when something doesn’t work, not me. In fact – if a job demands an extra dose of troubleshooting stick my name on it. Nothing makes me happier than mixing brainpower with a hands-on challenge. My passion for getting things working again happened when I started rebuilding car starters and alternators for the family business. It’s great having an employer and customers who appreciates what I do. Your level of commitment should leave people speechless. Whether it’s tuning up my daughter’s Barbie Car, designing a one-of-a-kind system, or troubleshooting a client problem at 10pm – my standards defy normal. Interested in becoming our next Franchisee? Sounds crazy, but customer service is our marketing strategy. If you’re not happy doing what it takes to ‘wow’ a customer, then you wouldn’t last a day at Draught Pro. In our world, great customer service means that we’re willing to do things differently, make sacrifices and invest heavily in people who believe what we believe. It requires people who are willing to lay their passion and professionalism on the line everyday, and fuel a culture of partnership, ‘wow’ service and unquestionable loyalty. It’s why the Draught Pro Technician shows up in the middle of the night for an emergency service call, takes the time to show you penny pinching maintenance tips, or pushes you to make an investment in your system that you hadn’t considered. Some days it’s about finding a solution that sharpens the bottom line, while on others it’s our job to stretch your imagination and help you defy the notion of average. At Draught Pro we don’t define our value in terms of draught beer services, maintenance, draught system installs or point of sale solutions – it lies in our ability to impress the heck out of you with great customer service. Forget marketing, we’d rather be judged by the stories you share and the smile on your face. Premium beer gas service, with a difference. We’re always happy to roll up our sleeves when there’s an opportunity to find a better way. So that’s exactly what we did when our bar and restaurant customers expressed a growing desire to have a beer gas service tailored to their needs. After listening to clients we set out to eliminate surcharges, establish lower prices and volume requirements, and provide an immediate response option. First we found a gas manufacturer who shared our vision when it came to pricing, then we hired dedicated team members and invested in the delivery trucks. We use a flat rate minus the frivolous charges. We negotiate price and volume discounts and pass the savings directly to customers, with COD terms. We also provide beer gas generators for those of you with busier accounts. This gives you the ability to buy C02 (which is even cheaper than beer gas), blend nitrogen directly by pulling it from air to produce your own beer gas onsite. Big promises can lead to better experiences. There are only two reasons companies hesitate to make big promises; either they’re afraid they can’t deliver, or they can’t be bothered. 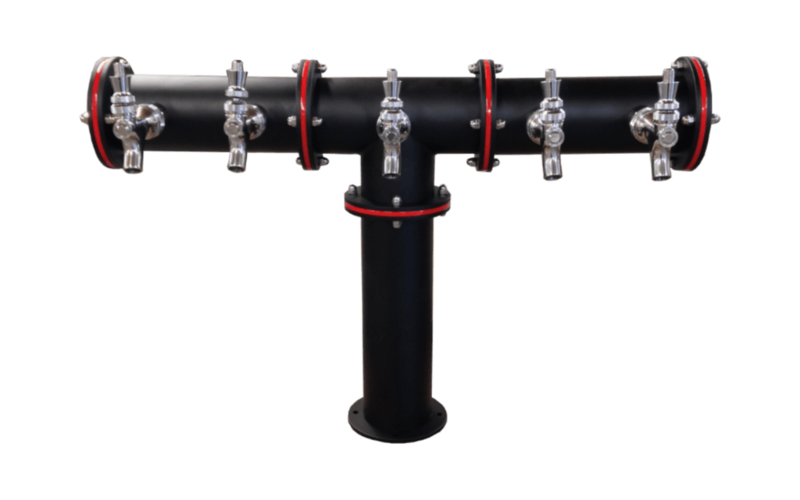 We prefer to challenge the status quo when it comes to designing and installing custom draught systems. We make big promises, and we keep them. OUR REPUTATION is the most valuable thing we own. 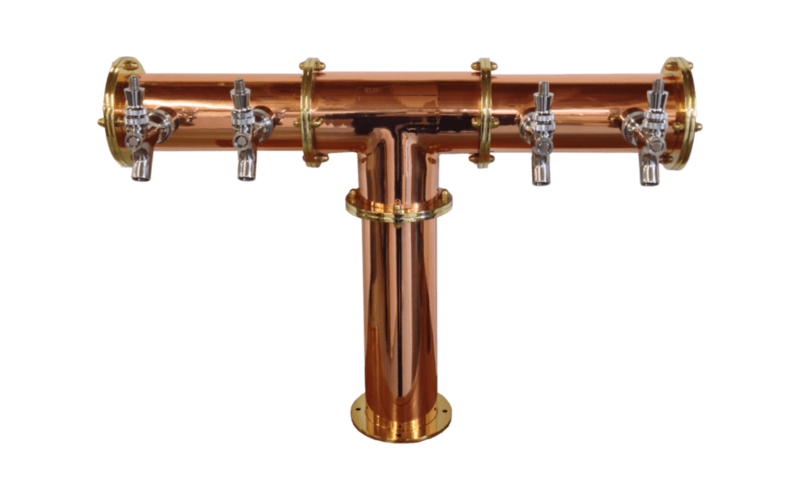 If we design a draught beer system to ‘wow’ you, saving staff and bartenders time, or reducing on-site maintenance costs – we’ll show you how and why it works. If we go out on a limb to meet a tight timeline, you can bank on the fact we’ll move heaven and earth to meet it. And, if you challenge us to design a system that sets a new standard in terms of creating a unique customer experience, we guarantee it will also make you more profitable than the system you use today. After 25 years of servicing, designing and installing draught beer systems, we’ve developed standards and practices that we refuse to compromise. For example, we won’t use inferior equipment just to win a job contract. It’s that kind of short-term thinking that always costs customers money after the installer is long gone. Another Draught Pro non-negotiable is what we call our ‘Left to Right Approach’ – a design strategy we’ve developed that maximizes efficiencies behind the bar. The fact that we continue to service more than 90% of our own Draught Pro installs after all these years, speaks volumes to the importance we place on partnerships and customer loyalty. We consult, listen and work to integrate client ideas – but we refuse to lower our customer service standards. That’s a promise we made to ourselves a long time ago. Our self-contained ‘Wine on Tap’ systems are installed no cost to qualified locations, and require no refrigeration. 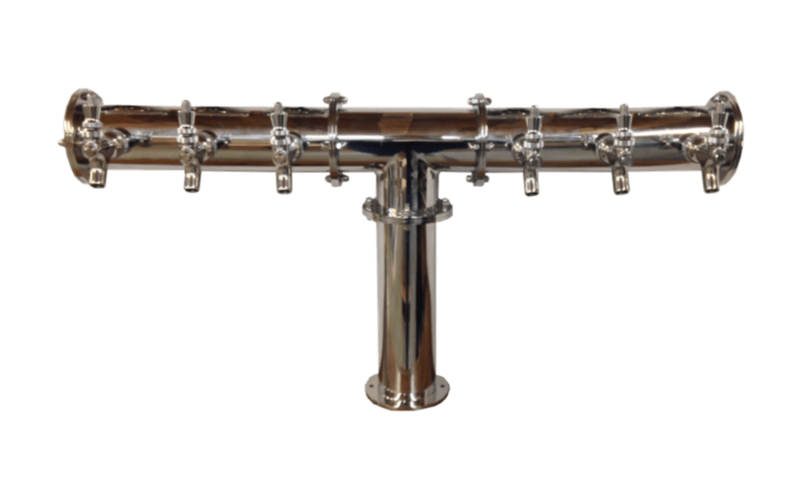 We also have the ability to integrate ‘Wine on Tap’ installations with draught beer taps. Contact us today for more information. As Nestle Professional Beverages Partners, we install & service Nestle coffee and juice machines throughout Atlantic Canada. This includes service for Tim Hortons, schools, hospitals and numerous other locations. You don’t need letters beside your name to impress us. In fact we’ll take attitude over degrees and diplomas any day of the week. First you’ve got to love working with your hands, care about people and have a fierce sense of loyalty. You’re the kind of person who has a teammate’s back, just because and without hesitation. Where you come from – a person’s word means everything, a handshake is a contract and average isn’t good enough. You love what you do, but more importantly you’re willing to do what it takes. Click arrows to meet the team, and feel free to impress us with a note or resume. If you've got trouble, call me. Most people get a headache when something doesn't work, not me. In fact - if a job demands an extra dose of troubleshooting stick my name on it. Nothing makes me happier than mixing brainpower with a hands-on challenge. My passion for getting things working again happened when I started rebuilding car starters and alternators for the family business. It's great having an employer and customers who appreciates what I do. I get deep satisfaction knowing that whatever the challenge or task, that I’ve evaluated every credible option - and left nothing to chance. Sure we design and install custom draught beer systems, and work with pit-crew precision to keep them flowing - but that's not why we exist as a business. Under the hood we exist as a service company for one reason, "to accelerate bottom line growth" for customers. For me, it's the one outcome that truly defines 'remarkable service'. Over the years I've done my share of installs and I can honestly say I've loved almost all of them equally. Some systems were trickier than others, more than a few blew me away with their scope and vision, while many were just plain challenging. It's been almost ten years working at Draught Pro, and I'm still learning. 30 years ago I learned an important lesson about customer service working as a car detailer at my uncle's dealership. The work you do behind the scenes needs to focus on one thing – doing the unexpected to ‘wow’ a teammate or customer. Since then I’ve gone from a wash bay, to working behind a desk - but the attention to detail that’s required - is as important as ever. I get a little pumped when things aren't working perfectly. I don't just want to fix stuff - I also need to help people. That's why working at Draught Pro is the perfect fit. I get to apply my electrical, plumbing and construction skills on projects - and then witness the smiles as the first tap starts to flow. There are no words to describe the feeling. The new found pride an owner experiences after a Draught Pro Certified install never gets old. We push each other as teammates, and we are always looking for ways to raise the bar in our industry when it comes to customer service. We think proactively to anticipate problems before they happen, and clients appreciate us for it. We don’t punch a clock at Draught Pro - we do whatever it takes. That’s what I love about my work at Draught Pro, they believe what I believe. There’s only one way to do a job - right the first time. I live by one motto... "if you need me I'm there". Something needs fixing around the house, under the hood or behind the bar I'm all in. In my world success is measured by two things - KPIs and bottom line growth. The fact I hold a Bachelor of Business Administration in Finance, that I’m a CPA, CGA - or have worked years in the private sector, and as a senior accountant with BDO is only half of the equation in my opinion. Doesn’t matter if you work on the front line, or behind a desk at head office - we’re all committed to finding a better way to create a ‘wow’ experience people want to share with others.